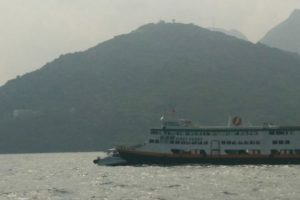 The passenger ferry Xin Chao collided with recreation boat near Sai Wan, Hong Kong. The ferry was en route to Cheung Chau with 391 passengers on board, but went on crossing routes with charter boat with 6 passengers en route to Lamma Island. The both ships maneuvered in last minute and suffered sufficient damages. The boat was hit on the port board and suffered water ingress, but remained afloat. All the passengers from the boat were evacuated to a water police boat and transfered to the shore. Five of them were injured and hospitalized for a while. The ferry was slightly damages in the bow, but none of the passengers was injured. The local authorities started investigation for the root cause of the accident. According to the report, the collision happened due to violation of ColReg and last minute maneuver of the charter boat. There is no waster pollution and oil spill. The passenger ferry Xin Chao has overall length of 64.00 m, moulded beam of 10.00 m and maximum draft of 2.50 m.